Low-Rate Denial-of-Service (LRDoS) attack is an emerging threat to Internet because it can evade detection and defense schemes for flooding based attacks. LRDoS attack at application level is particularly difficult to counteract as it mimics legitimate client. Although there are several approaches proposed to mitigate LRDoS attacks, they are limited to particular protocols, target systems, or attack patterns that they are not able to detect this threat at application level. 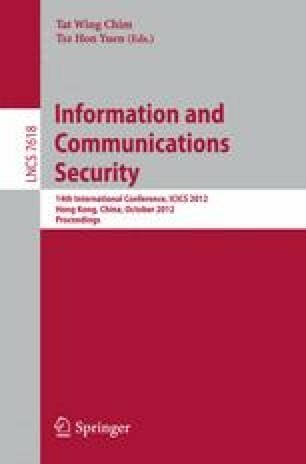 In this paper, we propose a nonparametric detection algorithm and a hybrid defense system to mitigate LRDoS attacks at application level. Our extensive experiments have confirmed the effectiveness of the detection and defense system. This work is supported by the National Natural Science Foundation of China (60903185) and Industry-Universities-Research Institutes Collaboration Foundation of Guangdong (cgzhzd0717).